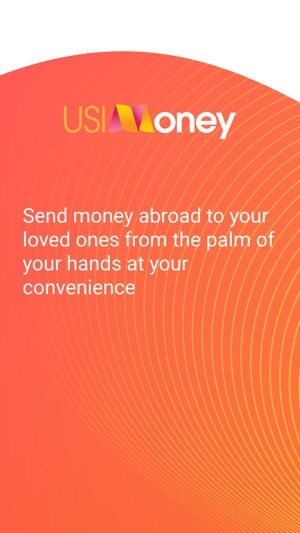 We are USI Money and fluent in remittance. 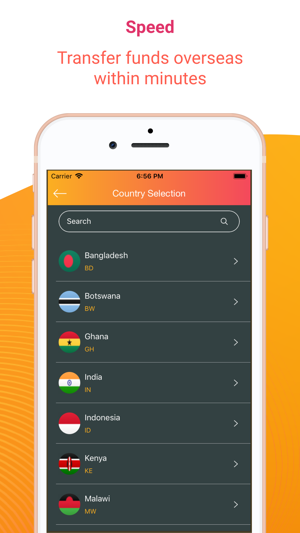 Our Remittance App is built to make the whole process of sending money overseas quicker, safer and easier for you, whether you are at home, in the office or on the go directly from your mobile or tablet. 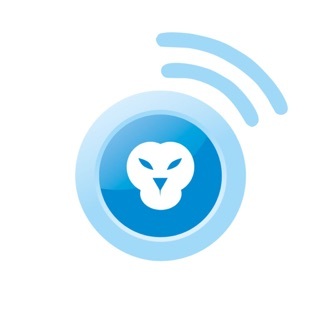 Sending money online to your friends and family around the globe couldn’t be easier! Our payout coverage is currently available in 5 continents around the world – If your desired destination is not on our list yet, no worries, we are working on adding more. Why spend your time sitting and waiting for a broker to give you a rate when you can do it yourself 24/7 within minutes from the palm of your hands. If you need to help expats pay off, for instance, loans abroad and school fees or your family maintenance bills securely and conveniently and at a very low cost, give us a try. Your transfer can be sent as a bank deposit, cash pick-up, or mobile transfer depending on the beneficiary location and country you are sending. To give you assurance and peace of mind, you will receive email updates and SMS confirmations, so you know your funds have been delivered securely. 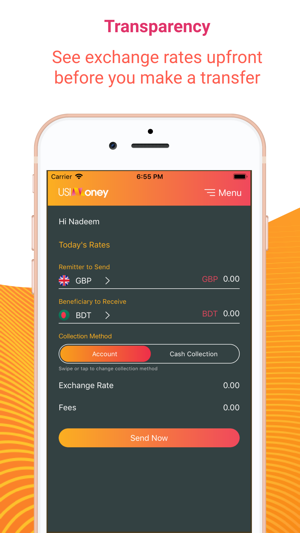 Our industry-leading technology protects your money and we’re licensed by the UK’s financial regulators, The Financial Conduct Authority (FCA), so you can be sure we meet the highest possible values – rest assured, your money is safe and secure with USI Money. Send money to: AED (UAE Dirham), BDT (Bangladeshi Taka), BWP (Botswana), GHS (Ghana), IDR (Indonesian Rupiah), INR (Indian Rupee), KES (Kenyan Shilling), MWK (Malawi), MYR (Malaysian Ringgit), MZN (Mozambique), NPR (Nepal), NGN (Nigerian Naira), PHP (Philippine Peso), PKR (Pakistan Rupee), RWF (Rwanda), SGD (Singapore Dollar), UGX (Uganda), ZWD (Zimbabwe). USI Money is a trading name of Universal Securities and Investments (FRN 574754) and is involved in corporate & individual money transfers. We have now simplified registration flow by implementing a new registration method (Quick Registration).